Doug and Rob are drunk off their asses. No joke. Will their comments be even funnier? Well, they'll certainly be slurred. 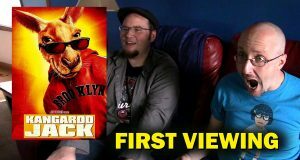 Here are Doug and Rob's first thoughts on Kangaroo Jack. It hopped its way to big money, but left a big wad of dung in our memories. 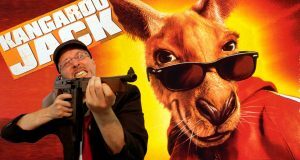 Nostalgia Critic looks at the madness of Kangaroo Jack.